Previous PostPrevious Check Out the All-New Move It! Shake It! MousekeDance It! Street Party! Next PostNext Welcome Back, Mike and Sulley to Disney’s Hollywood Studios! 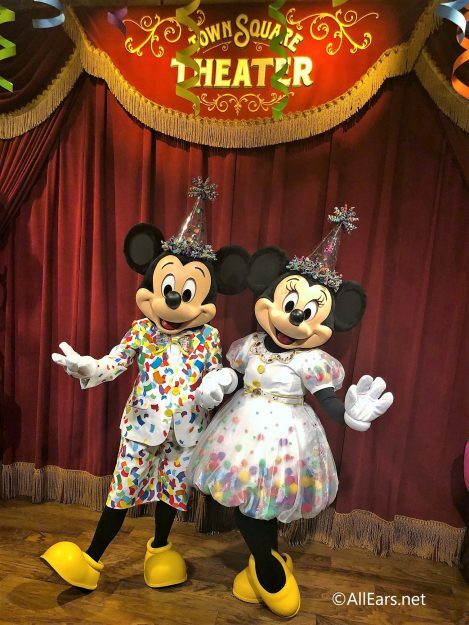 Head over to Town Square Theater, because Mickey and Minnie are waiting for you in their brand-new celebration outfits! We met the pair today, and we must say, they are dressed to impress. The classic duo are celebrating their 90th birthday now through September 30, 2019 with Mickey and Minnie’s Surprise Celebration. Next time you’re in the Magic Kingdom, be sure to stop by and say hello to the hosts of this huge party! Fastpass+ is available and recommended to meet this high-demand mice. Do you plan to say hello to Mickey and Minnie during their Surprise Celebration? Let us know in the comments! My mother is almost 90 just a few months younger than Mickey! She is really looking forward to visiting Mickey and Minnie on her birthday March 9th. I already have my calendar reminder set for 30 days out so I can get a Fastpass for us! Looking so forward to spending a week at Disney World with my grandkids and their parents in April 2019. 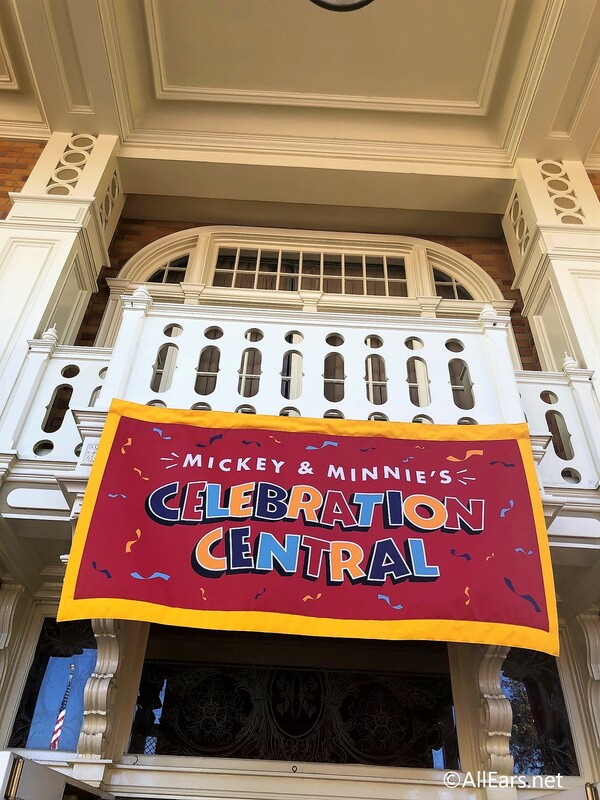 We will definitely check out Mickey and Minnie’s Celebration Central!